Little Johnny wasn't very good at spelling. During an oral spelling exam, the teacher wrote the word "new" on the blackboard. "Now," she asked Johnny, "what word would we have if we placed a "K" in the front?" 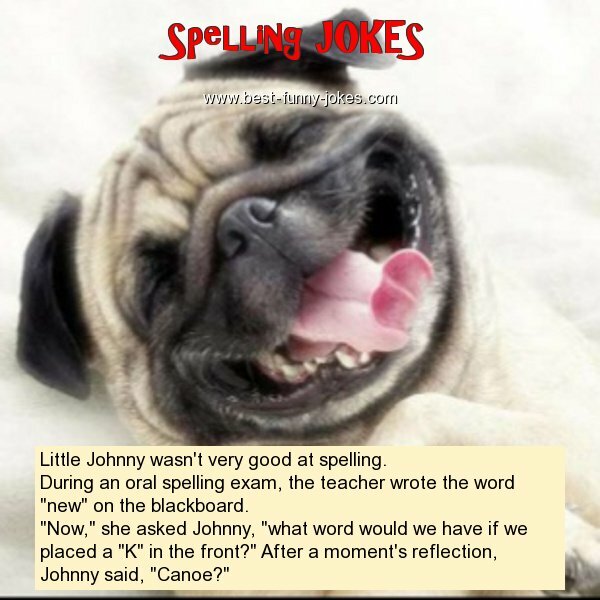 After a moment's reflection, Johnny said, "Canoe?"